If you asked a thousand Zelda fans which of the many franchise installments was their favourite, I’d bet you’d hear the answer “Oracle of Ages/Seasons” less than five times. Whether it’s because they were released on a handheld platform, or that they were overshadowed by such popular titles as Advanced Wars and Golden Sun — the Oracles games are woefully underrated. So, in an attempt to rectify this travesty, I’m showing Oracles some love in this week’s Fanart Friday. Developed by Capcom, the Oracles games boasted a pair of parallel storylines that merged into a single linear tale when played one after the other, with players activating a ‘New Game+’ mechanic via a password or the aptly named Link Cable. An RPG-type element was even added via a huge range of collectable magic rings, each altering the way the game played when equipped, whether it be changing Link’s attributes or appearance. The gameplay was as robust as Link’s Awakening but with fresh and well executed twists. This piece, simply titled Oracle of Ages, by Chilean artist louten, is what’s known as “a beaut”. 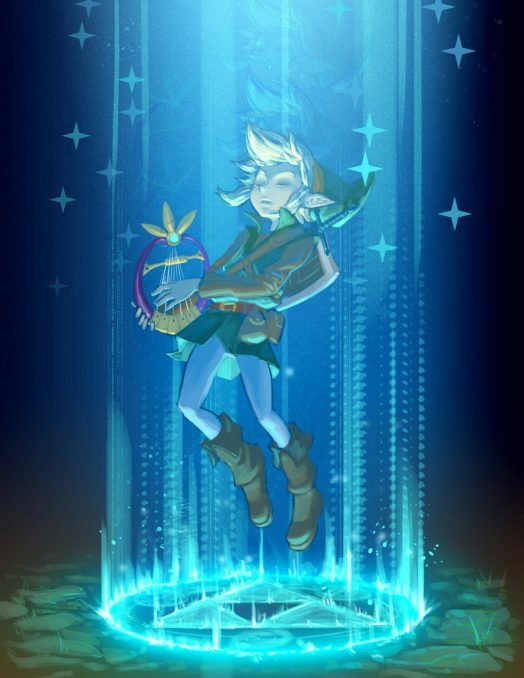 We see Link portrayed as a fresh-faced youngster, eyes closed in concentration, lost in the music spilling from the Harp of Ages at the command of his deft fingertips; summoning a mystical portal to transport him into the past of Labrynna. The crisp lines and smooth textures used on our hero accentuate his tender years, and the ghostly blue palette gives a wonderfully spiritual feel to the piece. There’s a certain serenity echoed through the composition that reflects the peaceful nature of Nayru, the Oracle of Ages herself, and evokes in me the feelings of immersion that I find in music. 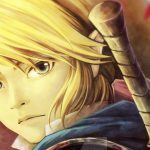 Looking at this beautiful image, like Link, I too am taken into the past, and it makes me smile.